We are into the second month of the year, and many of us are steadily working hard to achieve those goals we set in January. One of my goals (and probably most everyone else's) is to take better control of my health. This starts with what we put inside of our bodies. I find that making small changes and gradually adding more along the way makes it a lot easier to adjust. My husband actually gave himself a major dietary overhaul late last year, and has successfully stuck to it. He has hit some weight loss goals that he's very proud of. Our family overall has opted to go more towards a vegetarian/vegan lifestyle, even if it's for a couple weeks a month. Believe me, this hasn't been easy! I've been exploring different recipes, and products that are healthier for my family. 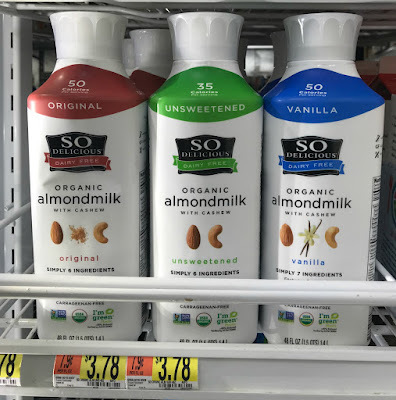 We recently stopped by our local Walmart store to pick up some groceries, and came across So Delicious Organic Almondmilk with cashew. I was excited to see there is a $1 Ibotta rebate. I am always happy when I can save some money. So Delicious organic almondmilks come in: Original, Vanilla, Unsweetened. I love the fact that it's made with only what's needed-nothing else. It's made with 7 ingredients or less, is Organic, Non-GMO, Soy-free, Dairy-free and Gluten-free. It's light-tasting and smooth, with just 50 calories or less per serving. If you taste it, you will know understand why it's called So Delicious! Oh, and I am obsessed with the bottle. They are made from at least 80% plants; and it's also recyclable. 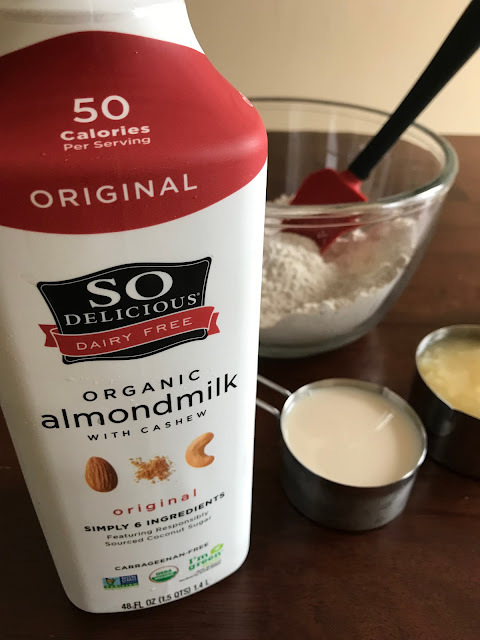 You can use So Delicious almondmilks in so many recipes. It's a winner in smoothies and desserts. 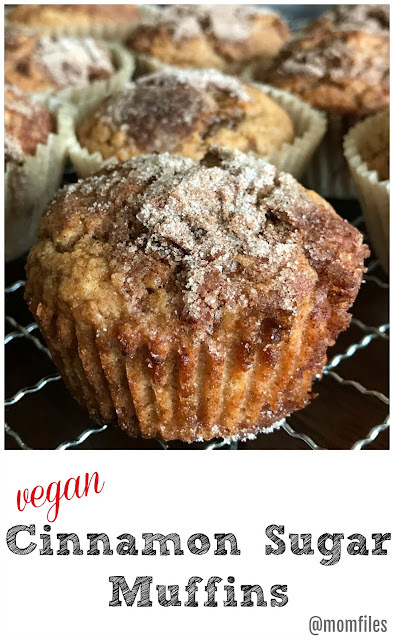 I found a recipe on Pinterest for vegan cinnamon sugar muffins that looked like a delicious breakfast or snack option. I had most of the ingredients on hand, so I was looking forward to trying them out. Preheat oven to 390 (F). Grease or line muffin tray, set aside. In a large bowl stir together all dry ingredients. In a separate bowl, whisk together applesauce, almond milk, oil, and maple syrup. Mix the wet ingredients into the dry, stirring until combined. Each family member tried a muffin and the reaction was all the same. They all said it tasted like any regular homemade muffin and they would never have guessed it was vegan. The dozen I made seemed to have disappeared in one day. I was lucky to get one! They had the same texture and flavor of a regular muffin using dairy or egg. This recipe is a keeper! Don't forget to stop into your local Walmart and look for So Delicious dairy free almondmilk and try it for yourself! It's great as is or in recipes. Also, if you make the muffins, let me know what you think. Thanks for stopping by. 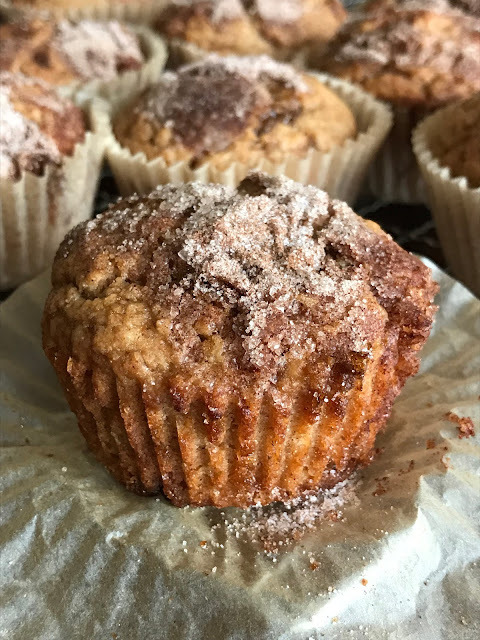 These muffins look great...I love the topping! It's the most simple recipe, and the topping really makes it even better. Not too sweet either. Thanks for stopping by. We recently tried these the other day and my husband liked it. This will be a staple in my household. BTW I will have to try those muffins. Looks good!